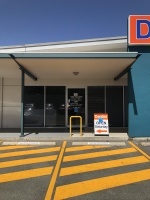 Our practice is situated in Albany Hills at Albany Creek in the northern suburbs of Brisbane. Established in 2004 we are a family dental practice with over 6o years of experience in dental care. We pride ourselves in ensuring our patients receive exceptional care. DId you know that poor oral health has been linked with other general health problems? This is why at Albany Hills Dental, we believe in safeguarding your overall wellbeing. We do this through consistently removing bacteria from your teeth and gums. We recommend regular six monthly check ups with us. Dental emergencies can occur out of nowhere and can cause major damage to the mouth. If you find a tooth that is broken, fractured or chipped, see a dentist as soon as possible. With early attention, we can avoid the possibility of your tooth becoming further damanged or infected. We will always recommend the most conservative treatments to restore teeth, but if we come across a tooth that is particularly damanged or has lost majority of its natural tooth structure may need to be crowned. A crowned tooth will be strong enough to eat on and can be made from ceramic, porcelain or gold. An increasing number of people are choosing to straighten their teeth but wish to do it discreetly. Invisalign is the perfect choice for this. It uses virtually invisible clear plastic aligners that fit tightly over the teeth and apply gentle pressure to move them. Root Canal Treatment is great therapy that can assist in restoring infected teeth. RCT removes all decayed and damaged areas and all infected nerve tissue, the tooth is then permanently sealed to prevent re-infection.